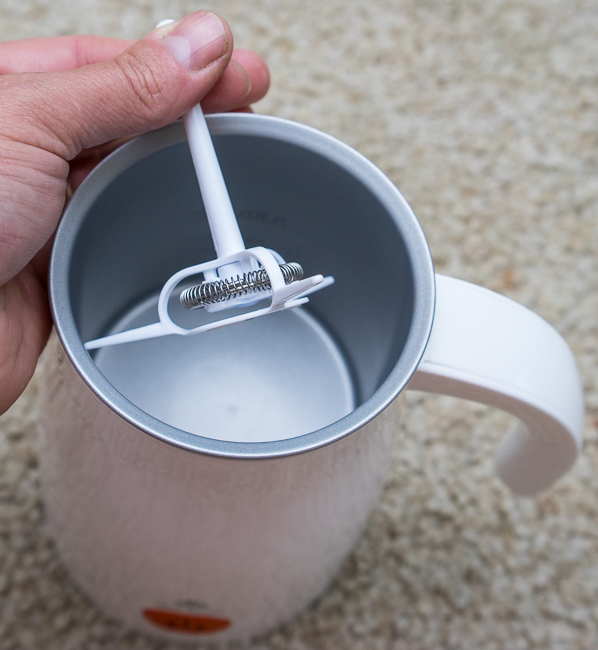 When I reviewed the LifStyl Milk Frother*, I thought I had found the perfect solution to steamed milk, without having to resort to using my espresso machine to make an entire pitcher. It also allowed me to make hot milk without any foam, which is awesome for when you don’t want all that foam. 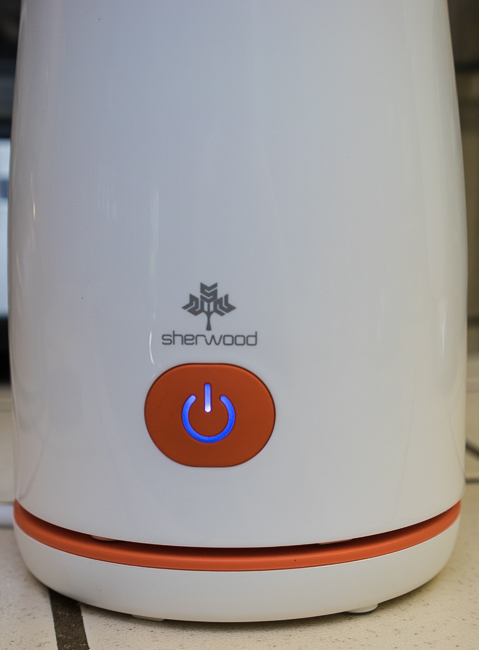 Enter the Sherwood SMF-1000 Automatic Electric Milk Frother and Warmer for Cappuccinos and Lattes. It is a white unit, with color accents available in Red, Orange, Green, and Purple. With it’s higher price tag, can it compete with the LifStyl Frother? 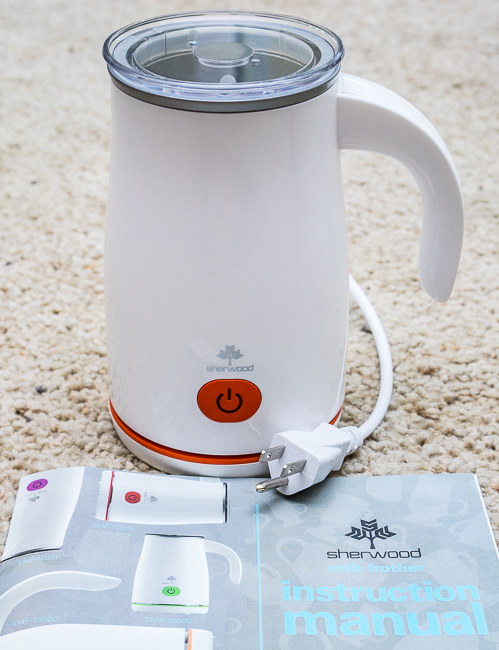 What additional functionality does the Sherwood Milk Frother bring? Read on to find out. Max Froth – Fill milk to this line for both “Hot Froth” and “Cold Froth” functions. Min – Milk should always be filled to at least this line when in use. 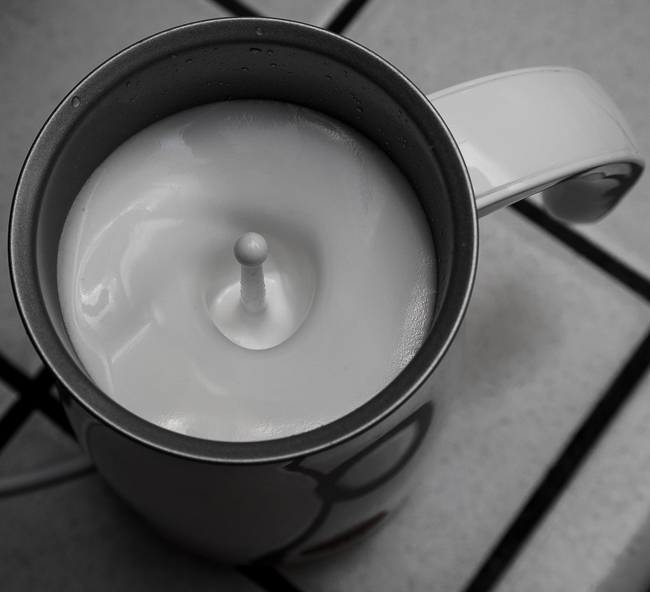 Heats and vigorously stirs milk to create a thick, hot froth ideal for cappuccinos. Fill milk between the Min and Max Froth lines. Press the Power button once. The indicator light will illuminate in a solid red. Heats with mild stirring for hot, airy milk ideal for hot chocolates and lattes. 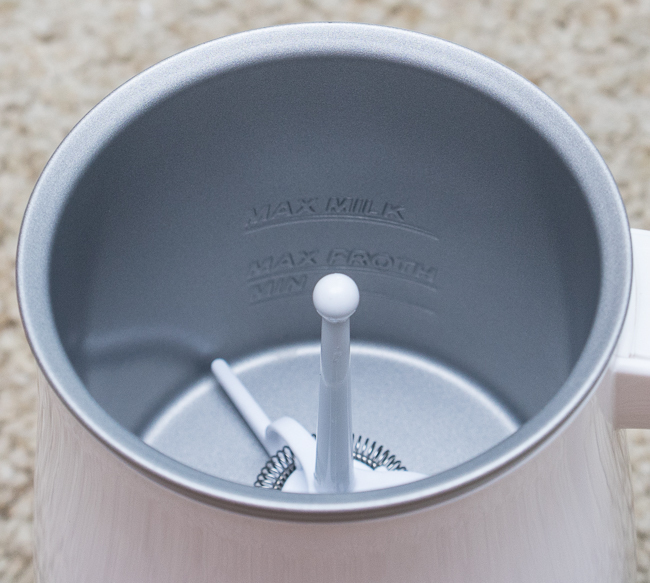 Fill milk between the Min and Max Milk lines. Press the Power button twice. The indicator light will blink on and off in red. 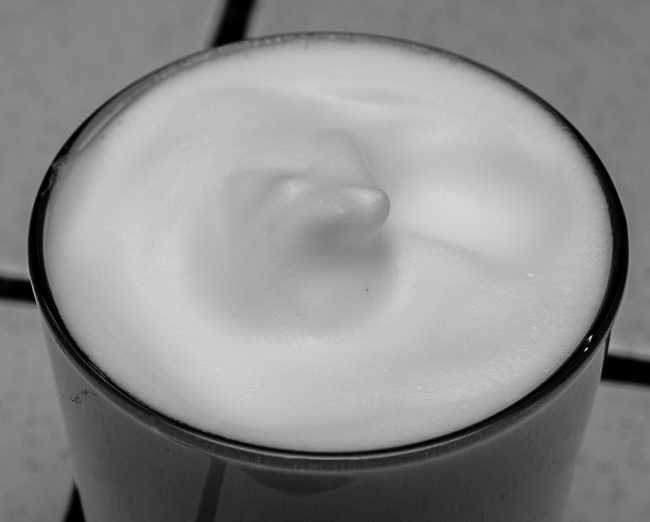 Stirs vigorously without heat to create a thick froth ideal for iced cappuccinos and lattes. Fill milk between the Min and Max Froth lines. Hold the Power button down. The indicator light will illuminate in a solid blue. Decide if you want hot milk, hot milk with foam, or even cold milk with foam! Color selection may not complement every kitchen. Would love to see a Stainless Steel model, or at least a grey or black model without the bright color accents. A little pricey at around $79-$99 street price depending on color, but is now my favorite milk frother, especially for those summer days when you want iced coffee with cold foamy milk! I really don’t think it gets much better than the Sherwood Electric Milk Frother. It does everything I could want, is well-built by a US-based company, and is relatively affordable. Highly recommended. * 2016 UPDATE: The LifStyl Milk Frother was discontinued.